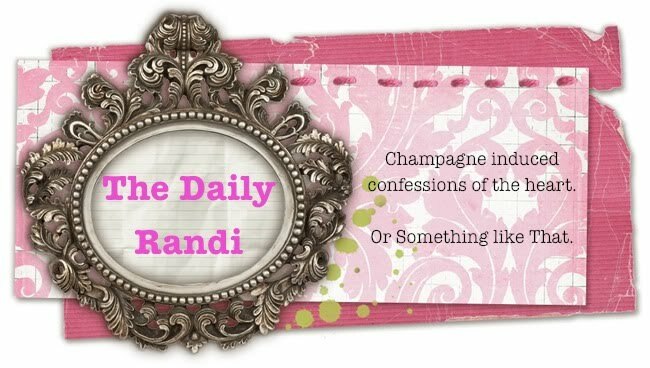 The Daily Randi: Aye Eye Aye! I don’t See very well. Well, I do if I wear My Contact Lenses. But, when they are Out, I am Blind As A Bat. Seriously, I Roam about my apartment like I am Helen Keller when I have Nothing to Assist My Vision. In fact, if I don’t put My Glasses in The Same Exact Place every night before I go to sleep, Wish Me Luck in Ever Finding Them Again. Or Anything Else, for that matter. Seriously – sometimes I call out for Annie Sullivan. I first learned I Needed Glasses in Third Grade. The Blackboard was Blurry and I Stupidly told My MOM who dragged me to The Eye Doctor who Prescribed Fugly Glasses and thus began The Downward Spiral towards Unpopularity. (A Spiral, by the way, which would only Be Reversed years later when I Finally Got My Braces Removed, I Learned To Dress Cool, and I Discovered How To Put Out.) By Seventh Grade, I had convinced My MOM that I Had To Have Contact Lenses and I have been wearing Contacts ever since. But, now, I am Irked By The Eye Doctor the way others Dread Their Dentist. Every time I Go, The Doctor tells me My Eyes Are Worse Than Before! As a result, My Eyeglass Prescription is about Ten Years Old and My Contact Lenses are at least Four. Lately, I have found I have developed A Fascinating New Habit of Wearing My Glasses On Top Of My Head. Why, you ask? Because it seems I see Better Without Them. I will get ready for bed, take my contact lenses out, and feel around for my glasses (in Their Usual Place, natch). Then, I climb into bed. Usually, I read a book before I go to sleep. And, well, I guess it must be Easier To Read Without My Glasses, because without even realizing it, I have been Taking My Glasses Off and Placing Them On Top Of My Head. In the morning, I wake up, turn off my alarm and Feel Around For My Eyeglasses. But, they are never on The Nightstand these days – they are On Perched On Top Of My Head where I Forget Them the evening before. Now, I am Experiencing Headaches, too, and I am pretty sure it is due to the fact that I Have Not Been To An Eye Doctor In Over Four Years. My Prescription has probably Changed. I fear I am Growing Farsighted, just like MY MOM did at about My Age and they are going to tell me I need Bifocals, which I will Refuse To Get because I Am Way Too Vain and Bifocals are for Old People. Before long, I will be donning Holiday Sweaters and Red Tinted Hair. Besides, I am The Girl Who Won’t Wear Her Glasses Out In Public! So, Bifocals would mean I Would Never Ever Ever Leave The House If I Accidentally Damaged A Contact Lens! This Can’t Happen! Regardless, I made An Appointment for Monday Morning. I may be Blind Sans Glasses, but I am Not Blind To The Signs That I Need To See The Eye Doctor. Clearly, I am Way Over Due for An Eye Exam. Well, not exactly Clearly. But, you know what I mean. You probably look great with bifocals. Even on top of your head. Since you can't see yourself w/bifocals on top of your head, you'll have take my word for it. And when I say putting out is a good idea, too.